I’ve already obtained every single Steam achievement for Hatoful Boyfriend, even completing the epilogue after the final dreadful route. Yet I am still compelled to buy the game for my PlayStation Vita which was released just last week, along with for the PlayStation 4. They added an additional route written by Hato Moa, featuring the bird Tohri who is normally only found in the prequel Holiday Star. Lucky for us Hatoful Boyfriend: Holiday Star has also been announced for the makeover treatment and will be coming out from Mediatonic and Devolver Digital in the Fall for all supported platforms (PC. Vita, and PS4). 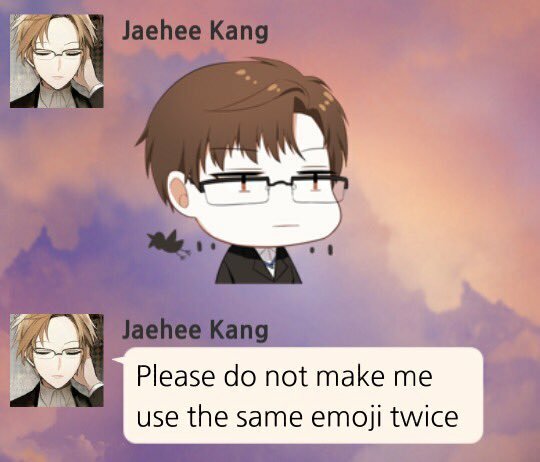 I have a friend who has played through the original doujinshi release of Holiday Star and she reports it’s just as messed up as the first game, so I’m extremely excited for it. 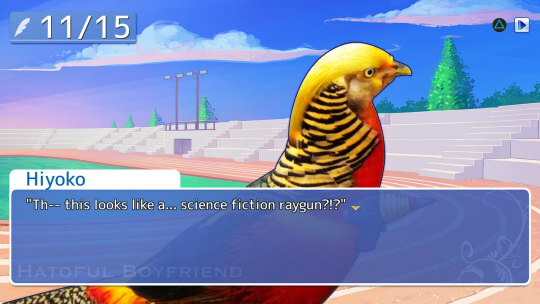 If you are unfamiliar with Hatoful Boyfriend then Laura Hudson makes a compelling argument for the subversiveness of the game in her review. 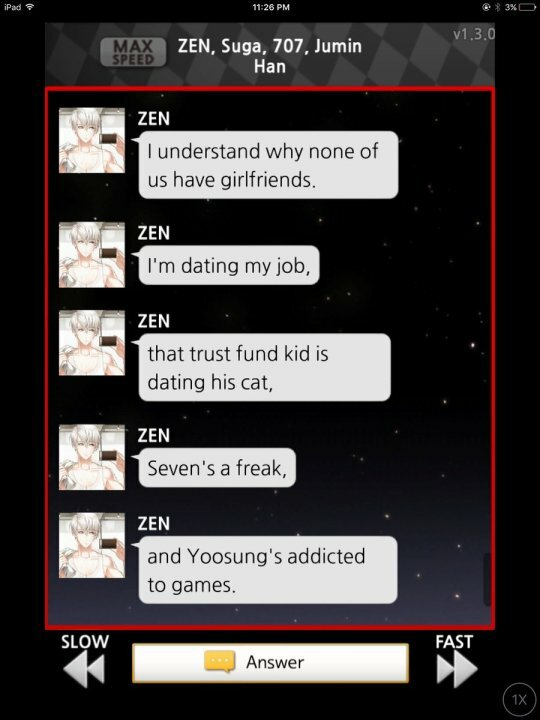 And if you aren’t even sure how to approach dating sims like Hatoful Boyfriend in the first place then I can certainly teach you. But if you’re an old pro like me and my friend Julian, you can listen to us talk all manner of Hatoful Boyfriend spoilers on the Gamers with Jobs podcast. 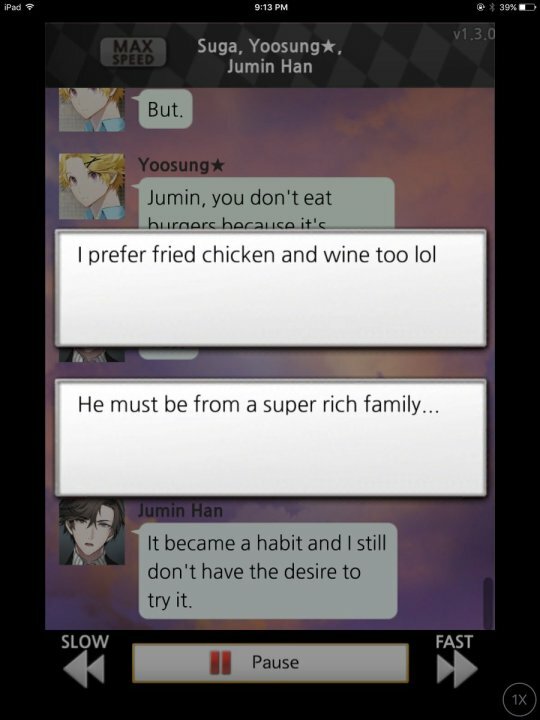 I love Hatoful Boyfriend. Creator Hato Moa is such an interesting person. You should definitely follow her Tumblr! 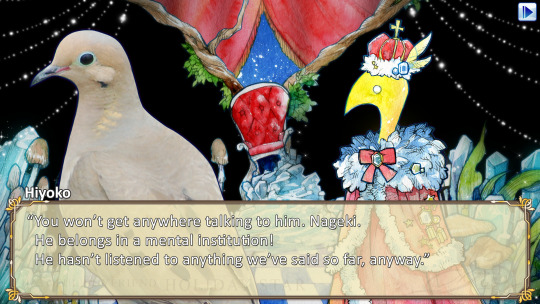 I also highly recommend the Hatoful Boyfriend drama CDs. They’re adorable and feature a cast of really talented and popular voice actors (Shuu is voiced by Dio from JoJo’s Bizarre Adventure). You can even buy translated Hatoful Boyfriend manga drawn by Hato Moa on the Amazon Kindle store.